2 Bed, 2 Bath, Den, plus Family/Dining Room. Relax and Enjoy Life sitting on your Paver Back Patio around a Built-in Gas Fire pit. 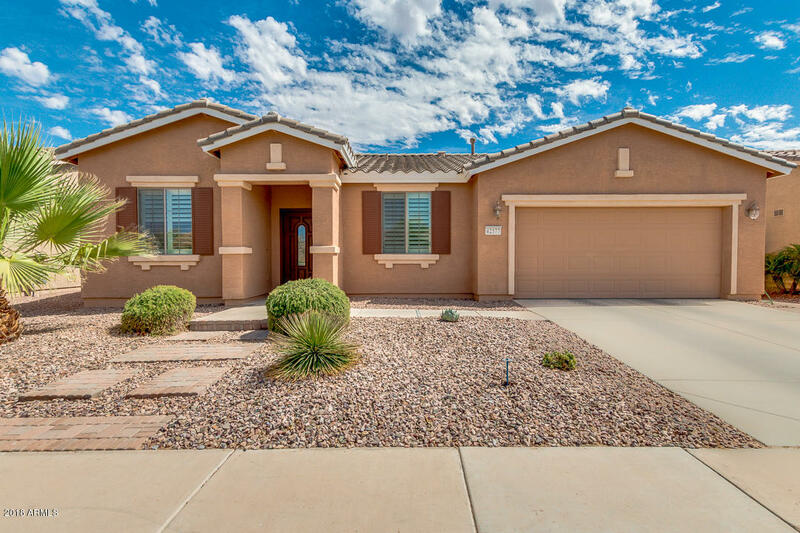 This Gorgeous Home located on a quiet Cul-De-Sac with an Open Floor Plan and Split Bedrooms Features a Beautiful Kitchen with Staggered Maple Cabinets, Crown Molding, Pull-Out Shelves, Corian C-Tops, Large Island, Pantry, RO and NEW SS Range/Over, Dishwasher and Microwave. The spacious Master Suite includes a Bay Window, Private Bathroom, Comfort Height Vanity, Private Toilet Room and Large Walk-In Closet. Other Features include New Plantation Shutters throughout, Carbon RO, Water Softener, Six Panel Raised Doors w/Levered Handles, Ceiling Fans, Covered Patio, Extend Paver Patio and Walkway.